However, as users get more and more of these pop-ups, the system seems to recognize responsible apps and offer more options than you are used to seeing in previous versions of Android. 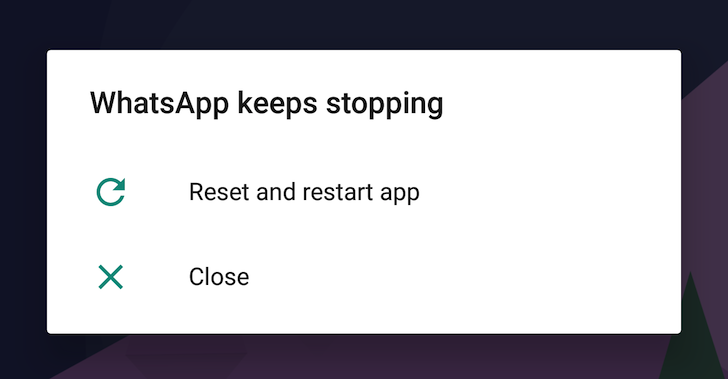 First, here are the usual force close options that you'll see on the first few instances of an application crashing. 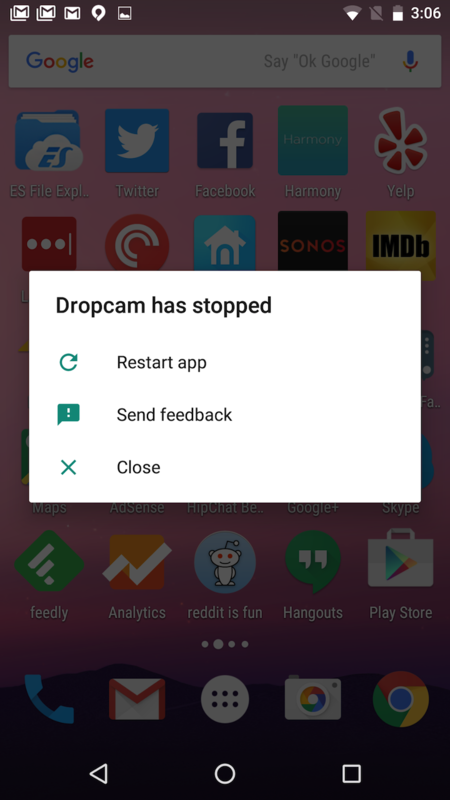 They simply offer the option to restart the app, close it, and send feedback if the developer has implemented that. However, when an app "keeps stopping," Android N will change its language and get a bit more impatient with the misbehavior. There's a new "Reset and restart app" option which doesn't do a full data wipe on the app like you might have guessed from the wording. It only stops all processes and cold launches the app again. 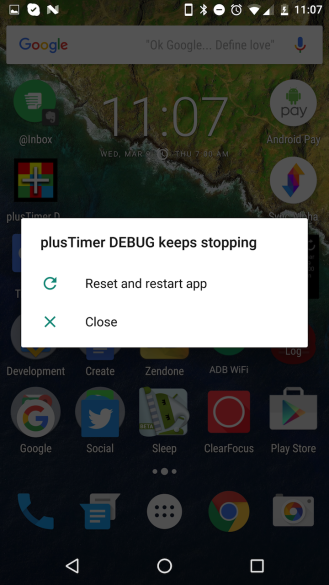 The simple "restart," by comparison, seems to be a faster close and relaunch. We're not exactly sure of the difference, but our tipster Daniel Ciao attempts a small explanation that you can read through. 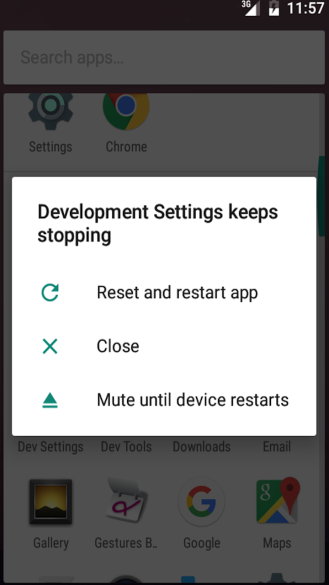 And it seems like the system might get to a higher level of annoyance with culprit apps and offer another "Mute until device restarts" option that stops the app's processes completely edit: more likely, stops the app crashes from pestering you, until you restart your phone.